QPI is responsible for the marketing and support both to institutions and individuals of Phil Erlanger Research and Jefferson Research who produce www.erlangersqueezeplay.com and www.torpedowatch.com along with a variety of other research firms. QPI also has worked with Superstock Investor to develop relationships with Whisper Number, The Madison Letter, Jim Patterson and Blue Hawk Research. Geoff is the editor of The Morning Briefing for Superstock Investor and the Market Strategist of The Buttonwood Club. Geoff and his team at Quantitative Partners have over 40 years of experience on Wall Street. 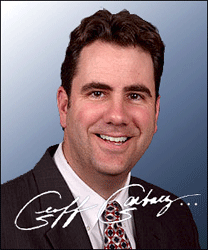 Prior to the formation of QPI in 1995, Geoff worked for The Robinson Humphrey Company from 1990 to 1995. Before that he worked for Capital Institutional Services (CAPIS) as an institutional sales person covering accounts in New York from 1986 to 1990. In 2009, Geoff authored a chapter in James DiGeorgia’s latest book, The Trader’s Great Gold Rush. Geoff is a graduate of Gettysburg College with Bachelor of Arts in Political Science and a member of the Phi Kappa Psi fraternity. Geoff and his wife reside in Madison, Wisconsin with their son Max and two dogs.